EU Leader Supports Short-Term Brexit Delay But Lays Pressure On U.K. Lawmakers The European Council President said a delay of three months is possible. But U.K. lawmakers would have to approve terms of separation that May has already unsuccessfully proposed to them. 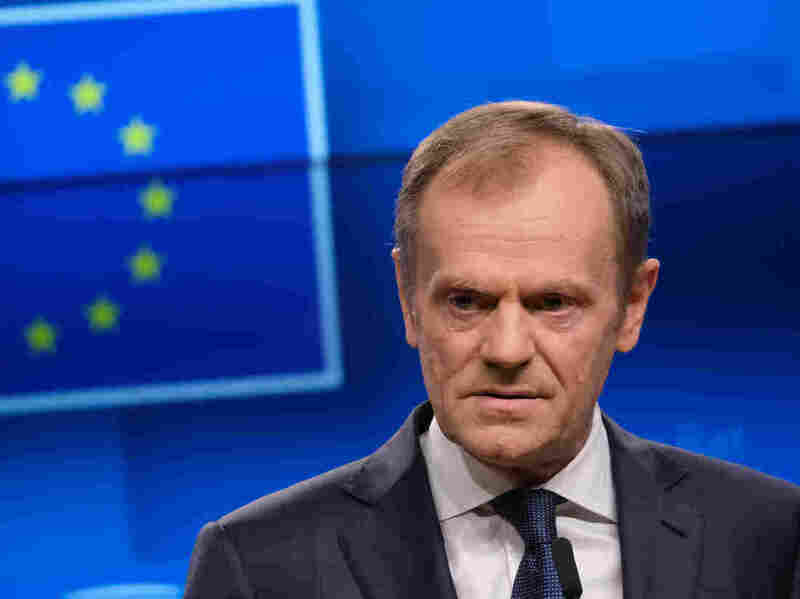 Donald Tusk, president of the European Council, speaks to reporters on Wednesday in Brussels. He told British Prime Minister Theresa May that an extension for withdrawal from the EU is possible, but with a caveat.